Fans took to social media to celebrate the magical moment and pay tribute to their favorite novel. Over 60,000 tweets were posted in the first 24 hours using the hashtag #HarryPotter20 which is trending worldwide. — J.K. Rowling (@jk_rowling) 26 июня 2017 г. — Joyce (@joyceechaves) 26 июня 2017 г. — Pop Crave (@PopCrave) 26 июня 2017 г. — IG: ALVAROMANO (@alvaromano) 26 июня 2017 г. — Harry Potter Memory (@PotterMemory) 26 июня 2017 г. 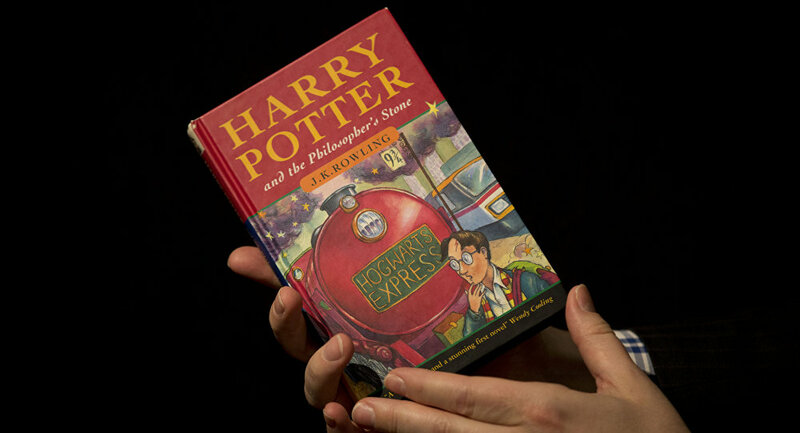 ​There were around 500 million copies of Harry Potter books sold around the world in 79 languages. Together with movies, toys and accessories the Harry Potter franchise is estimated to have earned more than 20 billion euros.